Expanded SIGCOMM conference: We revised the main conference for 2003 to have a five-day format, with workshops (and tutorials) scattered throughout the program. Attendance was fantastic, and the conference made a profit that helped offset the losses in 2002. The workshops helped increase and broaden the attendance, and helped the community focus on new directions (FDNA, NREDS), assess past efforts (RIPQOS), explore emerging technical areas (NICELI, MoMe Tools), and consider how to teach the next generation of networking students (NetEd). Building on last year's success, we are having workshops again in 2004. The number and quality of submissions suggests that we'll have a strong program again this year. SIGCOMM conference program: The SIGCOMM'04 conference continues the tradition of a high number of submissions (340 papers) and low acceptance rates (less than 10%) for the single-track program. In addition to papers on traditional topics such as network protocols and architecture, the 2004 program includes papers on wireless and delay-tolerant networks, network security, and network troubleshooting. Our student travel grant program continues to fund a large number of students to attend the conference and our poster session remains popular. Awards: In 2003, the annual SIGCOMM Award was presented to David Cheriton for his contributions to data networking and systems. The 2004 winner is Simon Lam, in recognition of his vision, breadth, and rigor in contributing to data networking. In addition, three senior members of the SIGCOMM community became ACM Fellows -- Craig Partridge (past chair), Scott Shenker, and Mostafa Ammar. Workshops and conferences: The SIGCOMM-sponsored conferences continue to be a success. The Internet Measurement Workshop became a conference in 2003, with 109 submissions and 33 acceptances; the 2004 conference had an even higher rate of submissions. The HotNets workshop continues to be a popular venue for new and provocative ideas, and is taking place for the third time in November 2004. The one worry spot is the Latin America conference, which has been plagued with low attendance due to the limited resources of researchers in the region. We are actively exploring whether to continue the workshop as well as other ways to reach the community in Latin America and elsewhere. New workshop/conferences: In 2004, we started a new conference on Networked Systems Design and Implementation in cooperation with USENIX and SIGOPS; the first conference had a large number of submissions and attendees, and NSDI is on its way to being a big success. We are also starting the Symposium on Architectures for Networking and Communications Systems, in collaboration with IEEE and SIGARCH. Together, these new conferences address the significant synergy of the networking community with research in software and hardware systems. We are also a co-sponsor of SenSys (on sensor networks), taking place for the second time in November 2004. 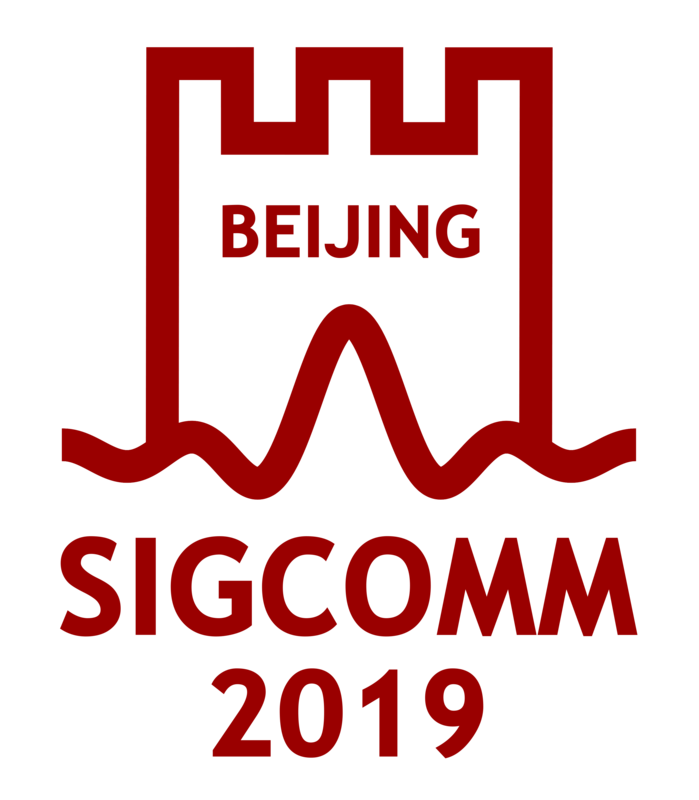 In addition, we have launched a new SIGCOMM Asia workshop which will take place in Beijing in 2005, as an attempt to reach the large community of researchers and practitioners in the region. Budget: Following losses and the general downturn in the economy, we have been more conservative in our conference budgets. Outgoing Treasurer (and now conference coordinator) Joe Touch wrote a valuable summary of the SIG's budget issues (available here) and we have been following the guidelines he outlined, such as ensuring that the registration fee for student conference attendees remains "at cost" to prevent losses. We also decided to defer having a third Latin America workshop until we can resolve whether the event is financially viable. In addition, we are exploring the potential of the ACM Digital Library to help in subsidizing SIG activities. In particular, we are exploring how to increase the use of the Digital Library by networking researchers by linking more of our Web pages directly to the DL. CCR newsletter: We are actively considering the model of our newsletter, both in terms of scope/emphasis and the delivery method. During the past year or two, CCR has had several "special issues" and a few invited papers (e.g., surveys). Also, CCR now has an online presence (at http://ccr.csail.mit.edu/) for authors and readers to have interactive discussions about papers. We are also evaluating whether to move to publishing some parts of the newsletter in an online fashion, rather than in print form. Location and time of the main conference: Traditionally, the main SIGCOMM conference rotates in a three-year cycle through the west coast of North America, the east coast of North America, and Europe. We are exploring whether to reduce the frequency of hosting the conference in North America, as well as the option of having the conference outside of North America and Europe. In addition, we are evaluating the dates of the conference with an eye toward adjusting them from year to year to reduce the likelihood that the conferences repeatedly hits the same group of SIGCOMM members during the first week of their fall semesters.